Remember that bespoke evil eye bracelet I shared recently? Well here it is happily settling into life in the USA with its new owner, @dream_lacquer! 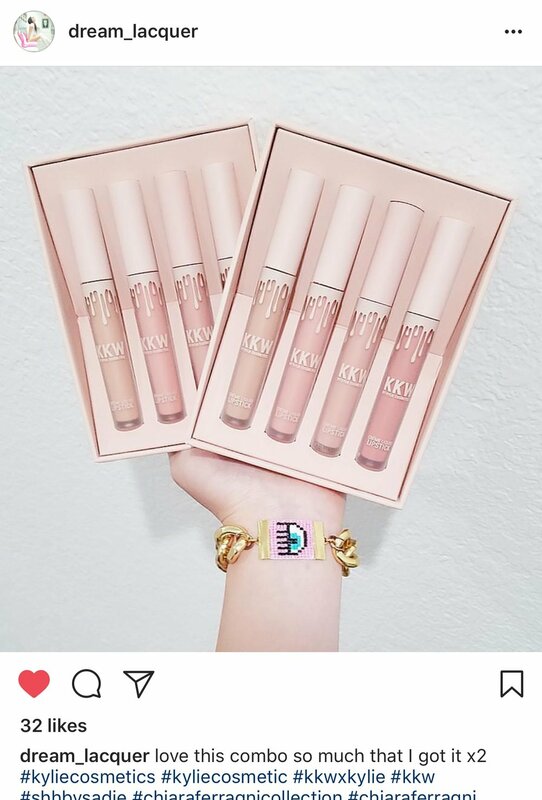 Doesn't it look beautiful with her own accessories, and of course photographed with Kylie Jenner's KKW lip glosses....drool..! SPRING DAZE Pop Up shop in Soho, New York City!